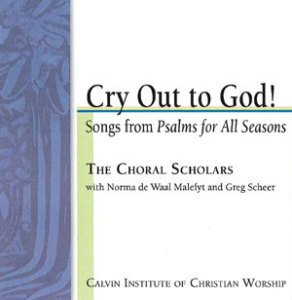 Released in collaboration with the Calvin Institute of Christian Worship, this recording includes songs from the songbook Psalms for All Seasons: A Complete Psalter for Worship . Our hope is that Cry Out to God! can serve as a teaching tool for choir directors, worship leaders, and others who teach and lead congregational song. Psalms for All Seasons is designed for use in corporate worship—to be placed in the hands of worship leaders, choirs, and, ideally, all worshipers. 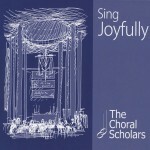 Most congregations across the wide spectrum of approaches to worship will be able to find at least 100 settings in the songbook accessible and fitting for their own approach, another 100 that they can easily learn (perhaps with the aid of this collection), and then several dozen (or hundred!) more to stretch them in new directions. Number and letter in parentheses indicate number in Psalms for All Seasons book.